.45″ I.D. – 4.0″ O.D. 11.4mm I.D. – 101.6mm O.D. 0.45” I.D. - 4.0” O.D. 11.4mm I.D. - 101.6mm O.D. 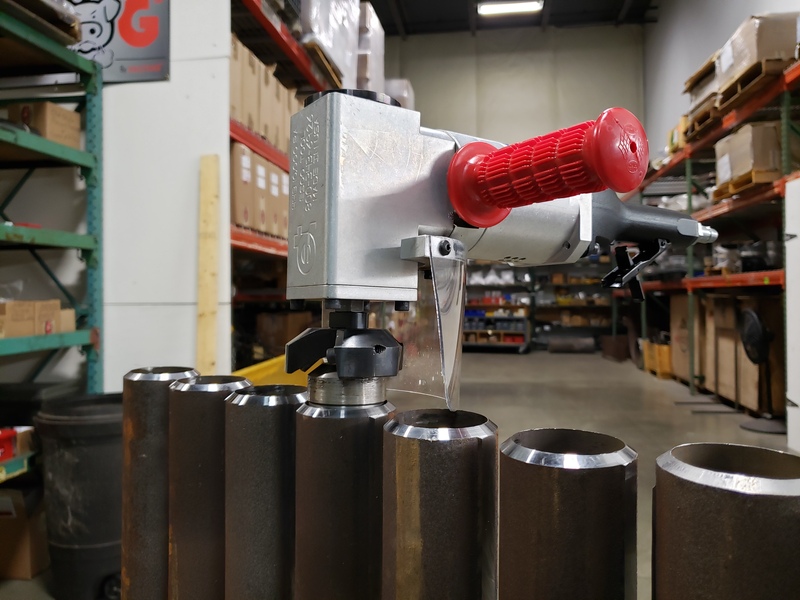 MILLHOG High speed tube bevelers feature a pilot locating system that automatically centers the tool on the tube. Simple to operate, just insert the pilot into the I.D., squeeze the throttle and finish your end prep completely in as fast as 3 seconds. 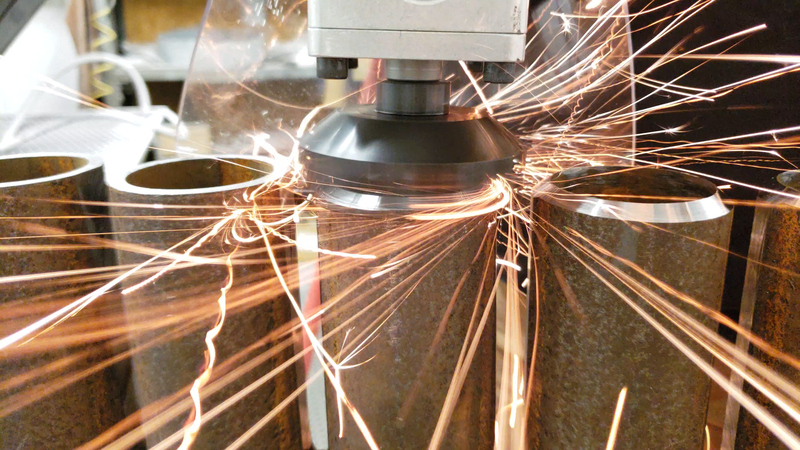 The high speed cutting action creates no reaction torque, even if the tool is stalled. 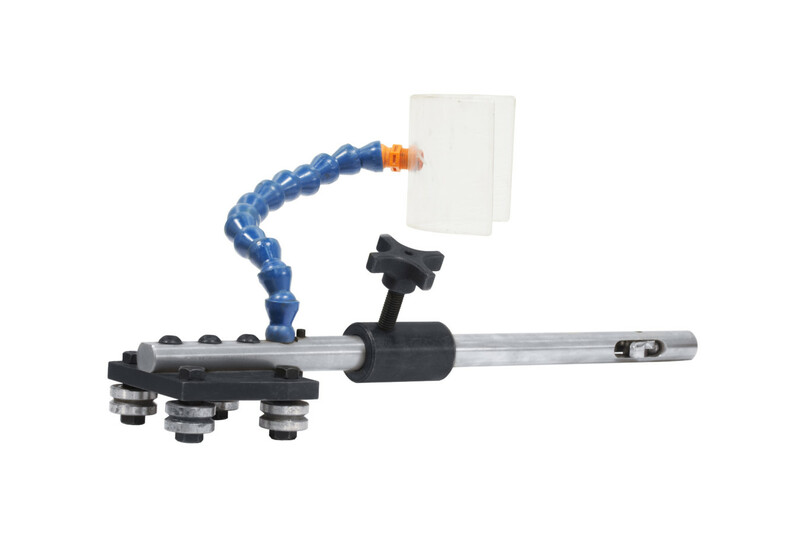 Straight models can be hand-held or used with the track chassis and post assembly. With this option bevel height is controlled with the adjustable depth stop and ensures all bevels are exactly the same height, saving valuable fit-up time. Right angle models are ideal for applications with height restrictions. 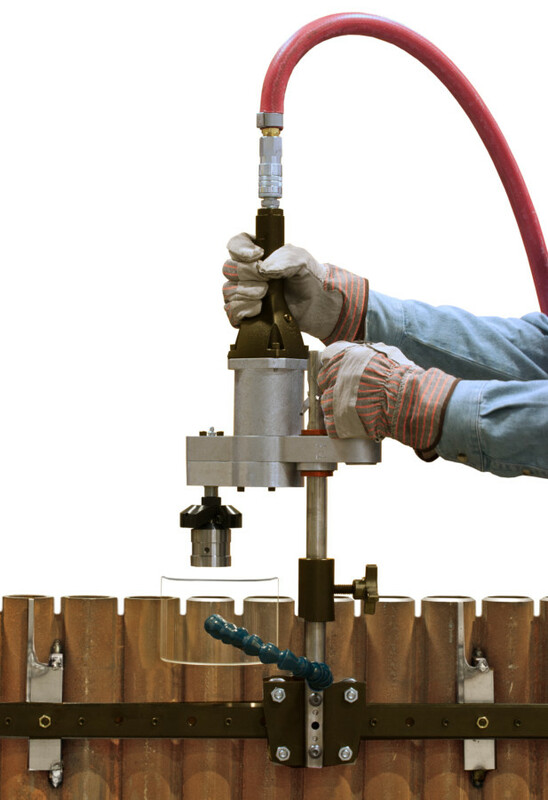 Pilot automatically locates and centers tool on pipe or tube I.D. Working Range 0.45" I.D. - 4.0" O.D. Shipping Dimensions 27" x 18" x 7" 27" x 18" x 7"
Working Range 11.4mm I.D. - 101.6mm O.D. The Track Chassis and Post Assembly allows the HHB-5000 and the HHB-10000 to ride along the saw track that is used for cutting panels and membrane. 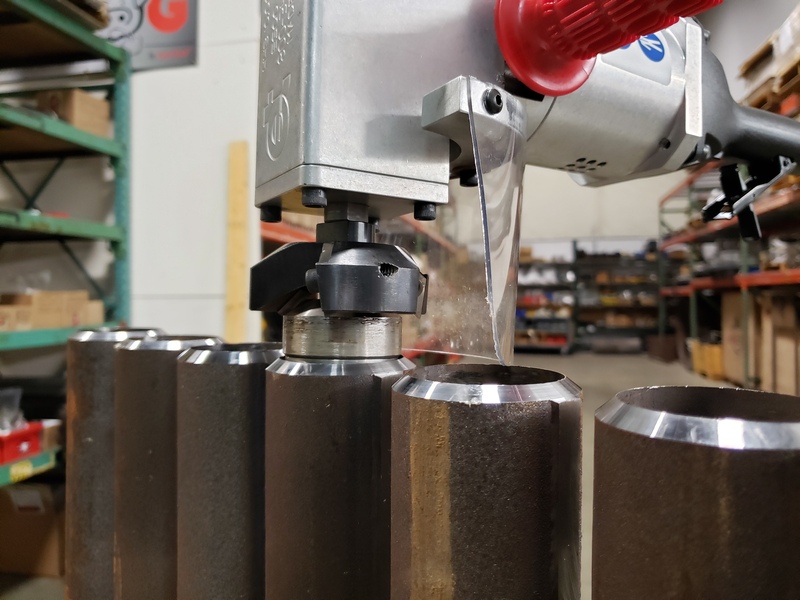 This accessory features a wing-lock system to keep the tool safely secured to the post, while still allowing for necessary movement as well an adjustable chip guard to keep chips away from the operator. Track Chassis and Post Assemblies are most commonly used in conjunction with the saw, so tracks are not included with this kit.